The Place Located at Seletar Hill, the row of shophouse along Jalan Selaseh is nestled in the quiet Seletar estate. The most popular eatery on this stretch will most definitely be Seletar Western Food, and don’t be surprised if you have to wait up to an hour for your orders. Seletar is typically not the first place most foodies think of when it comes to food, but we are glad there is a revival of this corner of Singapore with the likes of The Summerhouse and Wheeler’s Estate. The corner store in the coffee shop, the lack of ventilation makes the coffeeshop smokey when Seletar Western Food opens everyday in the late afternoon. The prime seats of the coffeeshop are the tables which line outside of the shophouse, where you get to enjoy some fresh air. The Food Expect a localised Western fare here, similar to those we have been enjoying at our neighbouring coffeeshops while growing up. Basically your meats of the day, complete with a serving each of French Fries, Red Beans, and my favourite Deep Fried Bun – which unfortunately ran out during my recent visit. For many, you should go for the Mixed Grill (S$12), which will get you highlights from the store’s menu. 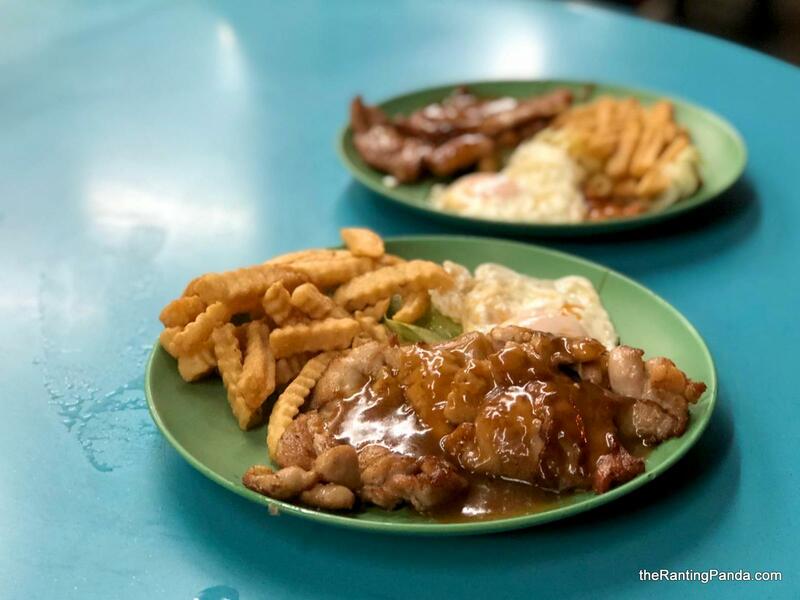 For my recent visit, I went for the Chicken Chop (S$6), which was done perfectly and perhaps after the long wait, it is one of the more satisfying grills in a while. Surprisingly, my dining partner’s Lamp Chop (S$9) stole the show here. Without any gamy taste, the tender lamb cuts were grilled close to perfection. If you are one of the many whom dislike lamb, this might just be the lamb which is acceptable. Rants Don’t go there with your best attire as the lack of ventilation will make your clothes reek of smokey scent. Will I Return Again? Always good to find some good old-school localised take on food, and Seletar Western Food is one of the few remaining ones. Do not attempt to compare this with the latest grill-house in town, but instead head here for the non-pretentious and comforting dinner – dressed in your favourite singlet, FBT shorts and market slippers.